Gibson Brothers and Friends Play With A Little Help From My Friends. Gibson Brothers and Friends – With A Little Help From My Friends. A few weeks ago, a bunch of friends got together to play music in Nashville, under the guise of prepping for Delfest. No one knew it would turn into something so special. Members of Del McCoury Band, The Travelin McCourys, Gibson Brothers, Sierra Hull and Dre and the Collective told stories and sang songs, turning it into a family jam. There was even talk of taking the show on the road this winter. Each artist brought a song that they thought would be fun to do, and Leigh Gibson showed up with “With A Little Help From My Friends.” Just so happens two weeks ago was the 50-year anniversary of The Beatles Sgt Peppers Lonely Hearts Club featuring this song. 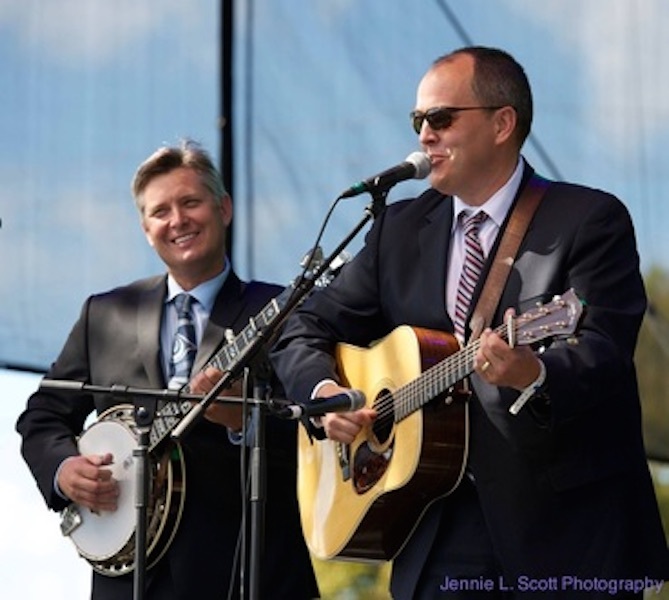 Incidently the Gibson Brothers’ new album “In The Ground” has currently found it’s way to #2 on the Bluegrass Unlimited Chart. No doubt the Gibson Brothers hope to see it rise to an unprecedented 9th consecutive #1 spot. Bluegrass Unlimited published a thorough review this June with a feature article on “In The Ground”. In the world of brother harmonies, the Gibson Brothers have set the Gold Standard. – Bluegrass Unlimited. The Gibson Brothers, Eric and Leigh Gibson are to be honoured by the State University of New York (SUNY) with honorary degrees of doctor of fine arts at SUNY Plattsburgh’s spring 2015 commencement, which will take place on 15th May this year. Both of the Gibsons are graduates of SUNY Plattsburgh: Eric Gibson received a BA in Secondary Education – English in 1993, and Leigh Gibson earned two bachelor’s degrees there: in 1994, he was awarded a Bachelor of Science in communication, and in 1996, he followed up with a BA in English. Last night at the historic Ryman Auditorium, the International Bluegrass Music Association presented the 23rd annual International Bluegrass Music Awards with hosts Del McCoury and Laurie Lewis in front of a packed audience of bluegrass musicians, fans and industry representatives. Over the course of the star-studded evening, Compass Records artists the Gibson Brothers took home the top prize in the bluegrass world – the coveted Entertainer of the Year Award – and also took the award for Gospel Recorded Event of the Year for their collaboration with Ricky Skaggs, “Singing As We Rise,” from their 2011 IBMA Album of the Year Help My Brother. Reigning winner Dale Ann Bradley was again crowned Female Vocalist of the Year, her fifth time receiving the award after her wins in 2011, 2009, 2008 and 2007. Compass Records recording artists received a total of ten award nominations; the nominees showcased their incredible talent during the performances of the evening. Dale Ann Bradley and Pam Tillis performed their Song of the Year-nominated “Somewhere South of Crazy,” followed by the Gibson Brothers’ performance of “They Called It Music,” a new song written by Eric Gibson and Joe Newberry. Special Consensus performed their Recorded Event of the Year-nominated song “Monroe” with guest vocalists Josh Williams and Chris Jones, with Sam Bush and Bobby Hicks on fiddle. The Gibson Brothers’ win for “Entertainer of the Year” was the result of their hard work, unwavering dedication and weeks on the road. We are honored and humbled by this award. We honestly didn’t see it coming. It would have been no shame to lose to the other nominees, all deserving. I really think winning is the result of perseverance, even stubbornness. We have stayed the course at times when maybe it made little sense to continue and thank God we did. We’d have never held the Entertainer of the Year trophy otherwise. Our goal remains the same – to improve as singers, writers and players and to make the next record better than the next – Eric Gibson of the Gibson Brothers. The Gibson Brothers will re-enter the studio later this year to begin working on their yet-unnamed new CD. Compass Records has been called “one of the greatest independent labels of the last decade” by Billboard Magazine. The label is home to many artists including Colin Hay, The Gibson Brothers, Victor Wooten, Altan, Peter Rowan and Luka Bloom and through the acquisition of Green Linnet and Mulligan Records has the largest Celtic catalog in the world. The label group also handles distribution for Victor Wooten’s Vix Records, UK-based folk music label Navigator Records and the iconic Americana imprint Dead Reckoning. 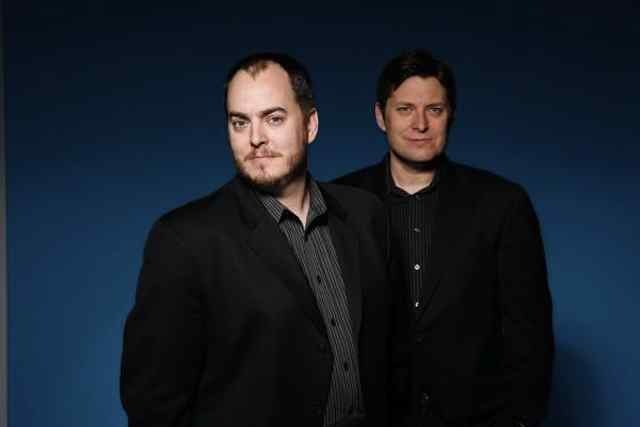 We just received a reminder from Compass Records that earlier this year, the Gibson Brothers’ new album, Ring The Bell which was released on Compass Records went to #1 on Bluegrass Unlimited magazine’s radio airplay chart. 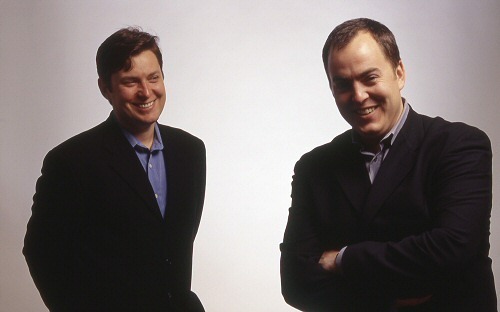 This makes it five consecutive albums by the Gibson Brothers to have reached that position. 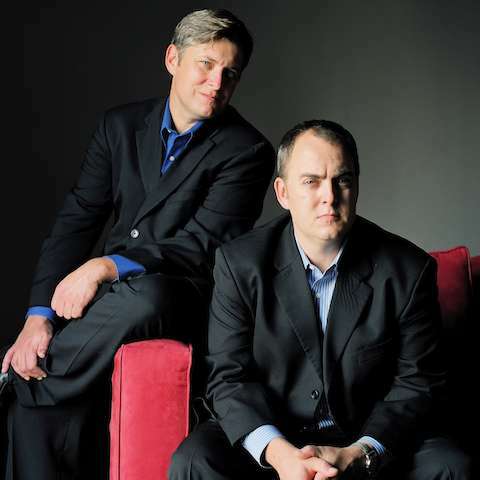 The Gibson Brothers are featured in this month’s edition of Bluegrass Unlimited magazine in an article by Chris Stuart. …what a thrill for us. I have subscribed to the magazine since the early 90s, eagerly awaiting each issue, never dreaming we’d be on its cover one day. Writer Chris Stuart really did his homework, and we are humbled by the quotes from Katy Daley, Alison Brown, and Garry West. If not another word was ever devoted to us, I could hold up this issue and be proud of how we were presented. Whenever we’re interviewed, we never want to come across as boastful or full of ourselves. The entire band was interviewed, so it’s nice to see everyone’s perspective. We are humble about the music business, knowing it can turn on a dime – for the good or bad – but we’ve carved something out in workmanlike fashion. I think that came across, and we are so pleased – Eric Gibson. Read the full article at Bluegrass Unlimited. The Gibson Brothers new album, Ring the Bell. 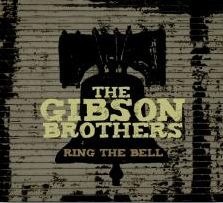 Compass Records announces the release of the Gibson Brothers’ new CD Ring The Bell. Produced by the two brothers plus bassist Mike Barber, Ring the Bell features six originals, including a co-write with Bob DiPiero, and new songs by Shawn Camp/Paul Kennerly, Chet O’Keefe, Joe Newberry, and Marshall Warwick, and a relatively obscure Tom Petty song called Angel Dream. It makes me think of being young and growing up in our small farming community in New York. It evokes memories of fellowship with the men who knew my Grandfather Gibson at church on Sunday mornings. We’d see folks at the hardware store or the bank during the week and then see them all again at church each Sunday – Leigh Gibson on new album. More Information: The Gibson Brothers.